Council of Higher Education forbids Ariel University from opening medical school after controversial deputy attorney general orders revote. 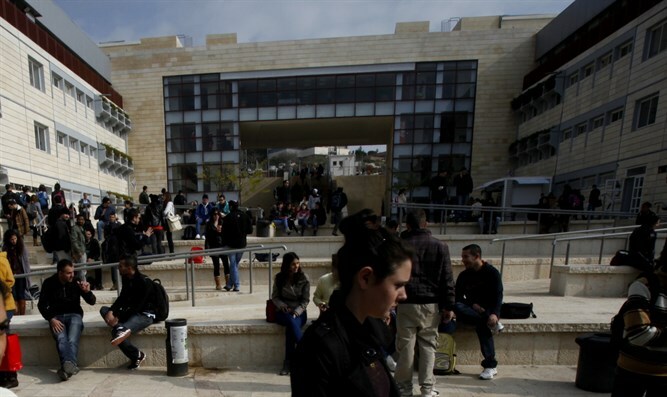 Ariel University will not be allowed to establish a new medical school after all. The Council of Higher Education's Planning and Budgeting Committee voted against allowing the school to open next year as planned, dealing a massive blow to the university's hopes of establishing Israel's seventh medical school. The Planning and Budgeting Committee operates in the framework of the Council for Higher Education. The 3-2 vote came after controversial Deputy Attorney General Dina Zilber invalidated the decision to establish a medical school at the Ariel University, due to an apparent conflict of interest on the part of one of the members of the Planning and Budgeting Committee who voted in favor of the decision. Zilber had taken issue with the fact that one of the members of the Planning and Budgeting Committee of the Council for Higher Education, Dr. Rivka Wadmany Shauman, voted at the time in favor of establishing the faculty of medicine at Ariel University - despite the fact that she was a candidate to teach in the institution as part of the teacher training program. The Planning and Budgeting Committee had originally approved in July the establishment of the faculty of medicine with a majority of four votes in favor, two against and one abstention. However, the absence of Shauman and Zvi Hauser, another supporter of the medical school, paved the way for Ariel University's opponents in the committee to scuttle the plans in the vote on Thursday. The decision is also a blow to Education Minister Naftali Bennett, who had pushed for the establishment of a new medical school to alleviate Israel's chronic shortage of doctors. Following the decision on Thursday, Bennett hinted that the Budget and Planning Committee had scuttled the plans in part to protect the interests of other universities in Israel that did not want competition. "It's unbelievable how the cartel of universities is putting obstacles in establishing a new medical school in Ariel," tweeted Bennett on Thursday. "Israel needs doctors and they're blocking it. We won't give up until the faculty is established."